If you are searching for the phrase “grease trap cleaning” or “grease trap pumping” near me in Phoenix, A-American Septic Service can help! When you are interested in our grease trap cleaning or pumping, call A- American Septic Service, today at 602-254-5448 for service. 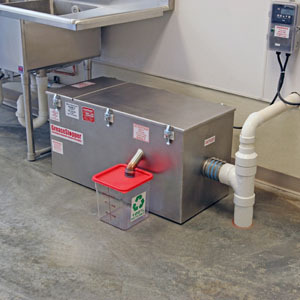 A grease trap is a plumbing device designed to intercept most greases and solids before they enter a wastewater disposal system. Grease traps protect the local waterways by significantly reducing the amount of greases, oils, and fats that enter water treatment systems, and are usually required by law. Cleaning your grease traps greatly reduces the likely-hood of a fire. How often should I get my grease trap cleaned? When you need septic system/ tank service, repair, inspection or maintenance, we are a quick phone call away. Whether you’re ready to schedule an appointment, or just have questions, our friendly and knowledgeable staff is happy to help. 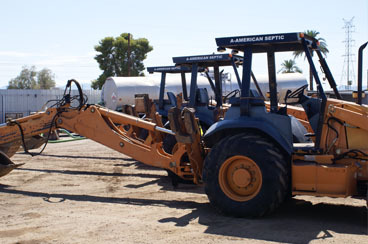 Call A-American Septic Service at 602-254-5448 today. Arizona State Law requires that the Seller of a property served by a septic system provide to the Buyer a State Inspection Report. The report is an eight page long form that must be filled out by a Licensed Septic Inspector. This report is good for six months, meaning that a seller can use the report an unlimited number of times, in a six-month period, following the date of inspection. This is why the Seller normally pays for the State Inspection Report. If the Buyer cancels, the report can still benefit the Seller, once another offer is accepted. We highly recommend, upon taking a listing serviced by a septic system, having your home owner request a Septic Permit Search from The Maricopa County Environmental Services Department. Due to requirement changes, this information is mandatory on Transfer of Ownership Forms for all 2001 and newer properties. The law says it is the property owner’s responsibility to keep a record of all permitting. 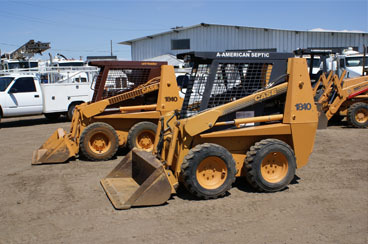 Visit ADEQ’s site to find more information. For Grease Trap Cleaning or Grease Trap Pumping, give us a call us at 602-254-5448 today to schedule an appointment. 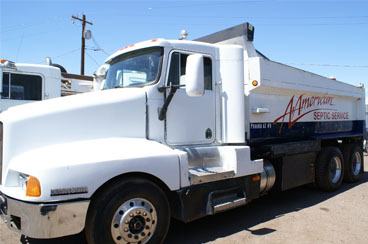 A-American Septic Service is a Septic Tank Cleaning & Pumping Company serving the greater Phoenix metropolitan area, and surrounding Arizona cities. If you are searching for the phrase “grease trap cleaning" or "grease trap pumping”, near me in Phoenix, A-American Septic Service can help! When you are interested in our grease trap cleaning or pumping service, call A- American Septic Service, today at 602-254-5448 to schedule an appointment.